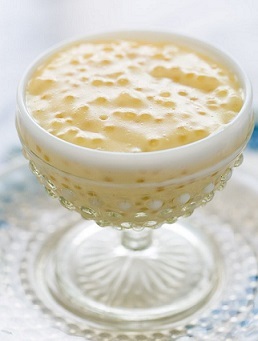 A Tapioca Pudding Recipe was one of the first dessert recipes my mother taught me to make as a small child. I think one of the reasons she taught me how to make Tapioca was because I loved it so much and I was always pestering her to make it more often. The other reason, I'm sure, is that the recipe is so easy. 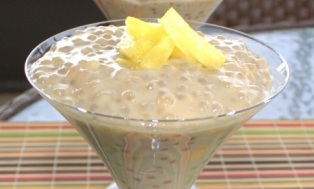 Tapioca Pudding is a real comfort food for many people. This was the pudding our mothers and grandmothers made for us. We simply did not buy the instant, heavily sugared, puddings that dominate grocery store shelves like today. I will say, however, that this dessert will not be something for people on low-carb diets. It is almost all starch and our bodies turn starch into sugar. You can make this old fashioned dessert recipe something more than it is by serving it in attractive dishware or glassware. You can also enhance it by adding an appropriate garnish such as a small wafer or cookie. This basic pudding recipe can also be made into something much more by adding fresh berries to it or toasted coconut or toasted slivered almonds. You can experiment with the recipe by adding your favorite items. 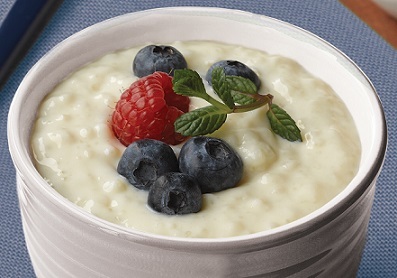 Enjoy your basic Tapioca Pudding Recipe and the company of those you share it with! Did you know? Tapioca is a starch extracted from cassava root. Tapioca is a staple food in many world regions and is used as a thickening agent in various foods world-wide.